Edited by gnomes2169 at 08:05, 14 Apr 2012. Description: The Revenants were created in the Cataclysm, and were undoubtedly the reason the races are still alive. Their creatures tend to have abilities tied with resisting death in all of its forms, and their racial both helps them with this central goal and punishes enemies who manage to thwart their protections. They tend to have few active abilities. Symbol: A human hand, struggling and grasping in the air. Colors: Generally Grey, Red and Black. Worship: Dretha, sister of the death God Dreda. Where Dreda is lord of the necromancers and king of the dead, Dretha is the Queen of the dead, and one of the three Gods of Balance. She created the Revenants to end the Cataclysm and thwart the Void whenever it rises. Faction motto: "We were given a second chance, and we will use it." Main race: Half-dead or undead humans. Not necropolis though. Many Spirit and Darkness creatures also fill the ranks. Main values: The values of the Revenants is varied and scattered, almost as diverse as they races they come from. different societies value different things, for instance one city believes that because they are "Dead" they should remove themselves from their emotions as much as possible, and try to make everything else join them. On the opposite side of the scale, you have those who see this second life as a chance to repent to and serve those who they wronged, and they give themselves wholy to acts of compassion and virtue. On the whole though, the Revenants tend to value compassion as well as logic and cold reason. Those that for societies and decide to live generally do not stand for or tolerate anyone trying to destroy them for being a "Blight" to the world. Social structure: It again depends on the society, but generally the Undying Armies are led by their namesake as the Revenants were the greatest heroes of the races while they were alive. Every society is bound to at least one Revenant if not more, as this takes away some of the suffering the majority of the half dead feel. Many of the creatures of darkness that ally with the Revenants do so out of convenience, and many decide to bond for the added benefits and power that comes with it. That isn't to say that the Revenants are completely unified or the same, far from it. Many societies divide themselves or splinter off due to differing beliefs, races or histories. Sometimes the Revenants have had feuds that threatened to turn into full-blown wars just because of the arguments between on Revenant and another. Duels between lesser Revenants is common, and sometimes they end up destroying each other. But there isn't only arguments between the leaders of this young faction, the Anima seem to have trouble submitting to the will of the Revenants and sometimes challenge their power, occasionally overthrowing one of their lesser cousins. the only constant source of stability in their fledgling society is Roland F'Lair, who is the leader that almost every Revenant and every creature associated with the faction bows to. Many of the Greater Revenants have linked themselves to him, and he is slowly bringing his faction to order. How he rose to his rank and power is the object of the campaign, and it is the reason why so many facets of the faction submit to him. World: Not Ashan, most closely resembles Erathia, if anything... It is a world called Karokat. The history of the Revenants begins long before the first of them was created. The eras that are shown here span three distinct epochs of the history of Karokat. These eras are the Times Before Creation (TBC), Before the Cataclysm (BTC) and Cataclysm's Aftermath (CA). -TBC 000: Dretha and Dreda first leave the void and find the Plane of Possibilities. Noting how there is no struggle to maintain their being and feeling safe for the first time in existence, the brother and sister decide to make this their home. -TBC 003: Dreda musters enough courage to go back into the void to try and rescue other beings from destruction. Dretha attaches an anchor between their souls and would have gone with him if he hadn't told her that this plane would cease existing if both of them left. -TBC 099: Dreda finally returns from the void holding a child and weeping bitterly. He never tells of what happened in the void, but his actions show that he is forever changed. The child is named Reo. -TBC 235: Despite Dretha's protests, Dreda once again enters the void. Reo has become fully grown and plays with the plane sometimes. How or why he makes things is unknown. -TBC 236: Dretha's anxiety about Dreda's safety finally wins over and, anchoring herself to Reo, she enters the void as well. -TBC 239: Dretha and Dreda emerge supporting each other and holding two children, Mithus and Erath. They are followed by three others, Rakos, Shal'Kara, and Orine. These beings vow never to go back into the void, never again. -TBC 241: Reo re-enters the void alone without anchoring himself to the Plane. This event drives both Dreda and Dretha to sorrow, as they looked on Reo as a son, and it with a heavy heart that they forever close the portal so that no other being may follow him. -TBC 427: The seal shows signs of weakening and nothing that Dretha, Dreda or the other beings does can stop it. They fear that it is the Void Lords sending their creations to reclaim their lost subjects. -TBC 564-582: The First War of the Void begins, and the gods are hard pressed to hold onto the Plane of Possibilities. Eventually the Void's armies are driven back, and the gods create a festival known as the Celebration of Freedom. -TBC 583: During the second Celebration of Freedom, the portal to the Void surges open and the Gods hurriedly cease their revelry. They know that if the Void attacks again that they will not be able to stop them in their current state and that many or all of them will die. Nothing comes through this year and most of the next year, though the Gods are on constant alert. -TBC 584: Reo walks out of the portal. Standing regal, proud and tall, he is accompanied by a man who puts his pride and nobility to shame. This man's name is Aor. They are leading four others as well, Share, Fiana, Mia and Tasia. As the portal closes behind them, Reo and his parents have a joyful reunion, and the Celebration of Freedom begins anew. -TBC 585: After the Celebration, which marks the end of the calendar year, Reo and Aor is reveal that the void is collapsing because of the presence of a material plane, notably the Plane of Possibilities, and that the Void Lords are becoming desperate to find a new home. The void is far from defeated, and it will send all of its remaining strength in a few years time. The Gods take the next few years to prepare. -TBC 600-603: The Second War of the Void begins. Share is slain, and many of the other gods are captured. Dreda is slain closing the second of three Great Portals, and a temporary truce is called on both sides. -TBC 604-609: The Second War of the Void begins anew. Dreda is slain when the last portal is destroyed. Reo banishes the last of the Void to a stable plane, hoping that they will never come back if they have a new home. -TBC 620: The Plane of Possibilities is recreated and Reo receives a joyous surprise, his mother's soul is still anchored to him, even though so many years have passed. Working together, the Gods create a body for her and she is revived. Dretha quickly discovers that Dreda is still attached to her and he is revived in much the same way. Forever are the separate from the other Gods because of their strange connection to the Gods and Void creatures who had died. -TBC 674: Something within Reo seems to click. Mustering all of his vast powers, he creates a supermassive pinpoint of light and detonates it. The Plane of Possibilities shudders and the world known as Karokat and the astral bodies that surround it are created. This ends the Time Before Creation. -BTC 0000-1981: Reo, weakened and reeling from his use of power, falls into a deep slumber. Aor stands guard over him, supporting his life energy so that Reo will not slip softly into death. The other Gods explore the world that Reo created. Mina creates plants with her touch, and other gods begin creating as well. Dretha and Dreda discover that they cannot create, whatever their hands touch turns to ash. Both of the reborn gods move to the grey moon, so that the others can create without hindrance. Reo awakens, and he and Aor find the world a very different place. Whatever Aor touches bursts into flames, so he leaves the planet as to not destroy it accidentally and creates the Demons and the elementals on another of the moons, the second of which he sends to the world so that his burning presence does not accidentally kill them. Eventually, Reo creates the Angels on the last moon. Demons and angels work together to restore peace whenever the races of the other gods get out of hand. Somewhere along the line, Dreda's mind shattered and he was slowly counseled back to sanity. -BTC 1982: Mostly cured of his madness but still paranoid and semi-delusional, Dreda discovers that he can raise the dead. Raising all the creatures who have been killed, he promises Reo that he and his creation will preserve the balance. When Reo agreed, the other gods resented the fact that he thought that they needed to be controlled. -BTC 2383-2394: After years of war and almost constant conflict between the gods and their creations, Dreda decides that the only way to preserve balance is to kill everything mortal that lives and start again. Thus the Plague wars were started. The undead ravaged the mortal world for years, until eventually the Angels and Demons were sent in to stop it. The undead were only barely defeated. The victory created the "Festival of Life," which is still celebrated. The gods, realizing that their arrogance, jealousy and bickering had almost destroyed everything they had created, agree to not interfere with Karokat for two thousand years. -BTC 2396-2398: Dreda secretly recreates the undead, though he keeps the numbers small to avoid detection. The races of the world never know a more prosperous time, and no wars are fought. -BTC 2399-2410: On Helus, a portal to the dimension that the creatures of the Void had been sent opens up. It appears that the Void Lords wish for revenge against Aor and Reo, and the Third Void War, which the mortal races never hear about, begins. Aor called on the other gods to aid him, but as he would not help them before, they do not help him now. It takes years for Reo to hear of his friend's plight, and by that time the demons are but a fraction of what they were before. Aor loses trust in every god but Mia and Reo, both of whom did help him once they heard what was happening. -BTC 2413: When Aor learns that the other gods had been killing his messengers to Reo, his distrust turns to open contempt. -BTC 2509-2513: The demons attack the warring races, beginning the First War. All other races are attacked indiscriminately, and the land begins to burn. Mia begs Aor to not slay her people (the wizards) and he relents. She begins to lead her people, which angers Reo. He accidentally kills her when he confronts Mia, and the First War ends as a heartbroken Aor picks the remains of his love up off the ground and cuts all ties to the other gods. -BTC 2518-2524: A new portal from the void appears in the Blight, and the mortal races find a new common enemy to rally against. This begins the Black War. Both the undead and the demons join the mortal races in the war against the Void, and with their assistance and combined might the Void is driven away. The demons actually stay to help rebuild for two generations before leaving. The Wizards are forgiven for once fighting with the demons, as they were both invaluable against the void. Aor returns to mourning. -BTC 2527: Dreda comes to Aor and reveals that there is a way to bring Mia back to life. The Demon King sacrifices a piece of his soul to pay the price, and Mia lives again. 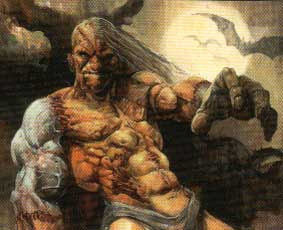 Aor feels that he is forever indebted to Dreda, which was all part of the Death God's plan. -BTC 2573: Dreda comes to Aor and begins counciling the troubled god. In an attempt to "help" the demon king, Aor allows Dreda to minorly modify his disturbed mind. Aor goes by the name Sal'Kor, enemy of light, from this point on. -BTC 2995: Dreda and Sal'Kor finish preparations for a five year war that will come to be known as the Cataclysm. Unknown to Sal'Kor, Dreda is courting the Void Lords, hoping to take this plane for themselves. -TC 1-4: The Demons and undead armies move, marching on all that lives and dies. Under their combined onslaught the mortal races are no match. Many races are completely eradicated, and dark magic begins to plague the world. The Void re-emerges in the fourth year, and the demons turn on the undead. All still seems hopeless, even when the angels come to fight on the side of the mortals. Then the fifth year begins, and Dretha acts. -TC 5: Taking all the dark magic that has been used in the Cataclysm, Dretha infuses the land with a curse. Storms brew, made of dark energies and nightmares. Horrors arise from depths that open in the earth, and those that die no longer are bent to the will of the undead. In fact, they do not die at all. The Dark magics sustain them, so that they have a half-life. This immortal army is led by the first Revenant, the fallen human king Roenel Silverblade. the undying army pushes back both the undead hordes and the void, and is the reason for the survival of all the other races. After the Void is defeated, the magics sustaining the Revenants is no longer fed by Dretha, but the curse lingers on. Though they are no longer unkillable, the half-dead still rise without warning or provocation. Storms of darkness ravage the land, and nightmares still walk the earth. But the Void and the undead were defeated and scattered, if that was worth the price is what still needs to be discovered. The racial deals directly with the faction's almost fatalistic viewpoint on life. It makes the enemy pay for every stack lost, creates stronger moral and luck as convictions rise, and even gives the most fervent of the Revenants a second chance at life, due to their stubborn will to protect. Their ability is called Last Rites. It is basically the prayers and blessings that the Revenants receive that inspire and motivate them. The bar is filled by anything dying, casting any dark spells, and by hitting the "wait" or "Defend" command. Last Rites 1: Enemies that destroy a stack have 5% of their total damage reflected back to them. (It does not matter how many creatures they kill or the damage the creatures take, if an angel would deal 2000 damage to a creature with 1 HP, it takes still takes 5% (100) damage in return). Last Rites 2: Enemies that destroy a stack take 7% of damage dealt to the friendly stack in the last hit. Friendly creatures gain 5 luck and moral. Last rites 3: Enemies that destroy a stack take 10% of total damage dealt to the stack in the last hit. Friendly creatures gain 5 luck and moral. 5% of the last creatures in a stack will have the "Guardian angel" effect applied to them if the stack is destroyed. Must have more than one creature in the stack to survive a fatal strike. Last rites 4: Enemies that destroy a stack take 10% of the total damage dealt to that stack in the last hit. Friendly creatures gain 5 luck and moral. 5% of the last creatures in a stack will have the "Guardian angel" effect applied to them if the stack is destroyed. When a stack is destroyed, then all friendly stacks gain 5 initiative until the end of the battle and are healed by 15% of their original total health. Units are based on the "Core, Elite, Champion" base already given. None of them suffer moral penalties from fighting with undead, and most of them don't even receive moral penalties. Instead of Moral suffering for mixing units, it is the luck stat that is affected. The bodies of the dead must be buried properly now, otherwise the curse of Karokat will claim it. The soul will not leave its body, and a soul trapped within a rotting body will begin to rot itself. There is an agony tied to this process that leaves the soul craving for a purpose, a reason to justify what has happened to it. The Revenants give them a purpose. The rotted are bodies and souls partially mad because of what has been done to them, but they are loyal, trustworthy and kind if befriended. They live and feel as much as when they first died, though below it all they are in pain. Dark energies keep this agony going, even after the body should have rightfully died of age, damage or any other cause, keeping the body alive for a short time after it should be destroyed. Strategy: Slow and fragile, Rotted are none-the-less useful because of the damage they can deal and their resistances. I do suggest waiting for the upgrade, Ghouls are far more versatile. The rotted are a numerous creature. For Core, it is hard deciding whether to upgrade or to spend your resources on the elite creature structures, since upgrades make these numerous starting creatures useful. Rotted can apply for a process to move their souls from their rotting corpse and agony into a surrogate body. This surrogate is made from clay and the bodies of those who have died. The bodies are a bit misshapen, but they are much faster and stronger than the bodies they left behind, and are stronger than most normal bodies. They can survive on only a small mixture of nuts and berries, and are nearly impervious to the natural elements. Replacement need only occur once every few decades. They are eternally grateful to the beings that saved them from their living death. Strategy: Massive speed and initiative boost, gains only a very small boost to its other stats. Still rather fragile, they are resistant to the power of offensive casters so at the very least Surrogates have strength against most magic damage. Surrogates are fast and finally usable. During the Cataclysm millions of beings died on thousands of battlefields. The world was ravaged by the void, and the mortal races declined. And then Dretha placed the curse on Karokat, and those who should have died found that they could not. Those that the necromancers attempted to raise from the dead were not truly dead. For a time, nobody died of any cause, at least not for very long. They returned from the dead almost instantly, and they fought the legions of death and the Void back to their holes, ending the Cataclysm. But what happened to them after? They live as normal men and women, but they have a restless, free spirit that is constantly searching for something, something that cannot be defined, something to fill a hole in their being. The Revenants have offered to help these wanderers and give them a place to stay while their search goes on. The only price is that the Returned must help the Revenants and rejoin the Undying army if called on. -Wanderlust: (Army with this creature in it moves once space farther on the adventure map). Strategy: The most durable of the cores in this faction, the Returned really do not have that many abilities. They are faster, healthier and just as strong as the Rotted, but they have fewer abilities and are not as resistant to magic. I suggest going for the upgrade, since (even though it only has two new abilities) it is better by far. Both forms help your hero move farther on the adventure map. The Returned almost always find that what they were looking for was standing beside them all along. The Revenants are a community and a family for them, they provide a place to live, settle down, get married and raise children. This is what fills the holes in the Returned's hearts, and they are Reborn as a different person, living as they would have given a second chance at their own lives. These soldiers that are Reborn are grateful to the Revenants and would do almost anything to repay the debt they owe... but the Reborn are also loath to give up their new-found immortal lives. When called upon for aid in battle, the Reborn fight from a range, showering their foes with arrows from a safe distance. They reject death to the bitter end, many times surviving with bared teeth what would kill a normal man with their sheer will to live. Strategy: A shooter that you need, the Reborn fill the hole that the Revenants needed in the core early game. Not many stat growths from the Returned, but the ability to trigger positive moral and the ability to shoot enemies across the map makes up for that fact. They are still stronger than most core shooters, especially in survivability. It is the only shooter you can get early to mid game (unless you somehow champion rush), so I suggest getting it quickly. Strategy: Keep them from being attacked by casters and magic attackers, they will make short work of these fragile creatures. Good for disabling shooters, since they are rather fast and can get off a quick hypnosis before the enemy can kill very many of them. Very high growth, the Dream Reavers are not really powerful in actual combat. Dream Reavers who prey upon the nightmares of the living often find that they can no longer create the good dreams that they once were able to. Though not permanent, this presented the Revenants with a predicament. What use could they be if the creatures could only evoke fear and disgust? The answer quickly became apparent, as when the Dream eaters were used against their enemies, it was shown that they not only put them in to sleep much longer, but that they also could consume the dreams of their victims, regenerating harm inflicted upon the Dream Eater and instilling terrible nightmares on their foe. -Consume Dream (Target sleeping enemy looses eight moral and the Dream Eater recovers 10 HP for every sleeping enemy. Can resurrect dead Dream Eaters. Only usable once per hypnosis). Strategy: Raised defenses and speed, the Dream Eater is still weak in melee, but it can now survive for long battles, especially if your hero learns the Hypnosis or Sleep spells. They are worth the money, if only for the ability to heal themselves and the extra turn of keeping enemies asleep. Not as important as the other core upgrades, but still something to consider. The distant cousins of the Revenants, Entombed are unfortunate accidents created by the dark energies that plague those not buried properly. On Karokat, this is basically an invitation to walk once again in the world of the living. Entombed are shambling creatures, they are the discarded corpses of brave knights and leaders who's soul has become so desiccated and rotten that, though they live because of Karokat's curse, the Entombed act as if dead unless someone binds the scraps of animation they have left to themselves. Through this process the Revenants have gathered many Entombed beneath their banner. Many still lay where they fell in the cataclysm, discarded and rotten but still alive. Some allies of the Revenants have told the leaders of the Undying where these fallen knights could be found, and expeditions are sent out continuously to scavenge what they can. Entombed are hearty, durable and mindlessly pursue their master's goal. Because of their years of rotting, the Entombed have a fetid, festering aura and spread a hundred plagues with just a touch. Strategy: A slow, low damage dealing unit, the Entombed is useful none-the-less. It has good health and defense (Odd, since it's supposedly a bigger Rotted) and it is undead, and is thus immune to the nasty things that all undead are immune to. Their abilities can cause havoc amongst enemy lines (if they can reach the enemy lines before the battle ends...) by debilitating, slowing and just all around breaking down your enemy's creatures. It is a good idea to throw these guys into the thick of battle and have them break down as many of your enemy as possible before death. The Revenants have lately begun projects to return the beings that have come to them to restore the lives stolen from them, though this task may ultimately prove to be futile. As it stands, they may be able to create a semblance of this life. The Embalmed are Entombed who have been restored at least partially, some might even argue that they are almost as good as when they were alive. Their bodies have been almost-restored and preserved to prevent more putrefaction. Their soul is the tricky part though. Even though it has been possible to restore a small fraction of what was lost, the majority of the soul has been forever consumed by the Void. The creature known as the Embalmed is a faster and semi-intelligent form of the Entombed. The embalming fluid that is used for a preservative mixes with the disease in its body to create an acidic compound, and it really hasn't killed off any of the diseases themselves. 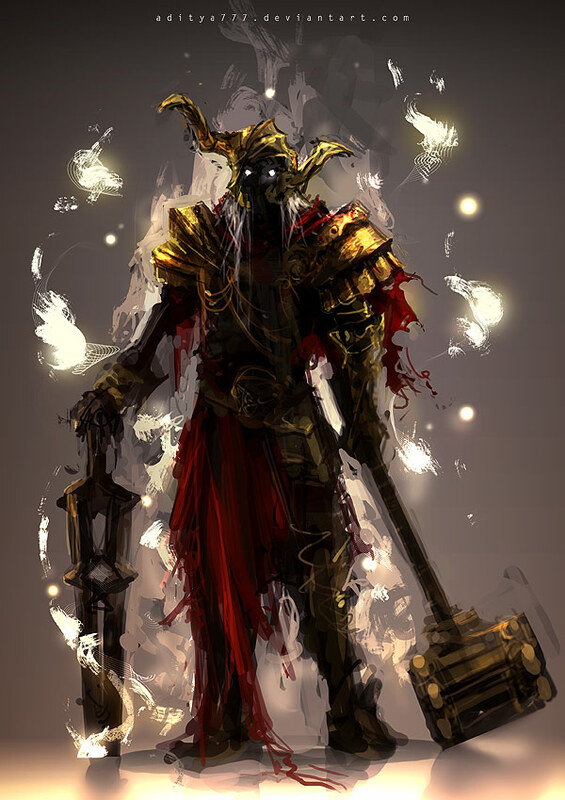 Entombed are known to wear scraps of clothing and armor, and they have been known to use rudimentary tools for tasks given to them. They use various weapons in battle, though mostly they use discarded swords and battle hammers. Strategy: Stat growths promote their already high health and bring their speed to merely sub-par. Embalmed have much the same strategy as entombed, though now you can actually perform it. In fact, it is even more recommended that you send them straight into the enemy to take hits, since enemies struck by them will be weakened and demoralized both giving and receiving damage. The Cataclysm created many energies in Karokat that cause those beings who dwell in the light to shudder. These creatures are one of those creations. Shade stalkers are wraith like beings, whisps whom the undead have tried time and again to enslave. 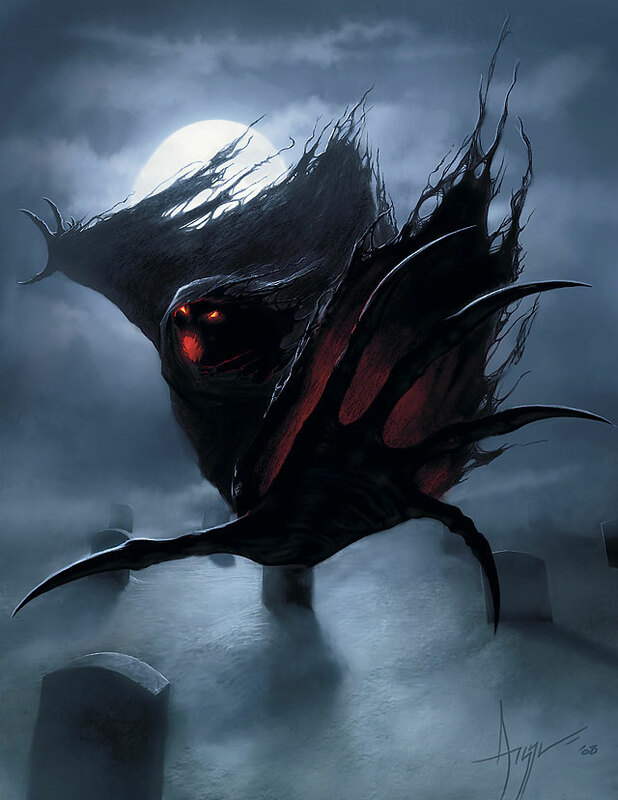 Never allowing themselves to be caught by such uninspired techniques as the undead use, the Shade stalkers instead give allegiance to the Revenants both to spite the Necromancers and to gain protection from them. Shade stalkers are an excellent force for spies and assassinations, jumping from shadow to shadow as they wish, and taking refuge in the bodies of willing dead or almost dead if needed. Strategy: Great for blocking shooters from the get-go, the Shade Stalker is the fastest creature in the Revenant army. Its abilities can ensure survival and complete coverage of enemies in a long battle. The Shade Stalker is low on health (naturally), but it deals the most damage of all the Revenant elite. A useful tactic is to put them into the Entombed/ Embalmed and wait for the enemy to weaken themselves with plagues before having your Shade Stalkers tear their weakened armies to shreds. Over all, it is a decently well rounded creature that could use another direct combat ability to two. This creature is born from the curse that Dretha has put upon the world. As a creature of pure shadow, the Antumbramancer has no corporeal essence and so it can transfer its power through contact and fusion with the soulless who walk the Revenant armies. These beings can absorb all of the dark energies that their foes exert, redirecting it in powerful storms that existed on a much larger scale during the Cataclysm. Strategy: A very worthy upgrade, the Antumbramancer is a must if you are fighting a faction with access to dark magic. They can make anything and everything in your elite line up stronger if they possess it, and they aren't too shabby themselves. If needed, they can disrupt enemy defenses while those cowards sit behind their precious walls. With their Storm of Darkness ability you are basically nuking the moles in their mole hole. 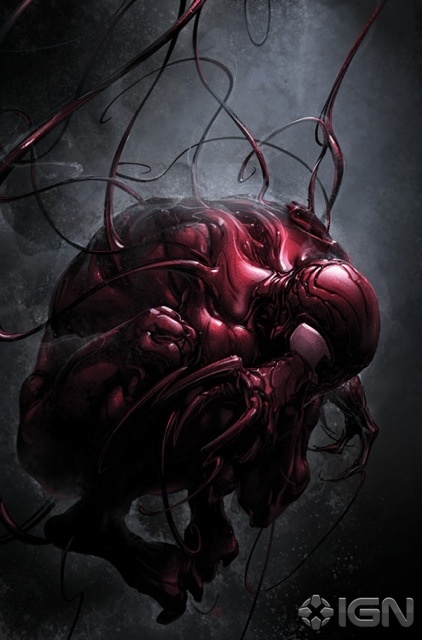 -Carnage construct: Rather commonly the energies of the Cataclysm create beings that are made from multiple others. Sometimes it uses their bodies, others their souls. In the case of these unfortunate beings, it uses their blood. Most commonly found screaming in agony where hundreds died on battlefields, the Carnage Construct constantly relives the agony and terror that every being within it experienced before their deaths. Naturally, there is a high rate of self-destruction among these beings. By bonding themselves to a Revenant, this being of blood is able to escape its torment, and they tend to be able to survive for any amount of time. Being made of blood makes them valuable assets in battle. For one, the spilling of recent blood heals any damage they suffer, even if it is their blood that is spilled. Also, this creature is able to travel through veins of blood to a place where many lives were extinguished, attacking all around with whirling, slashing claws. 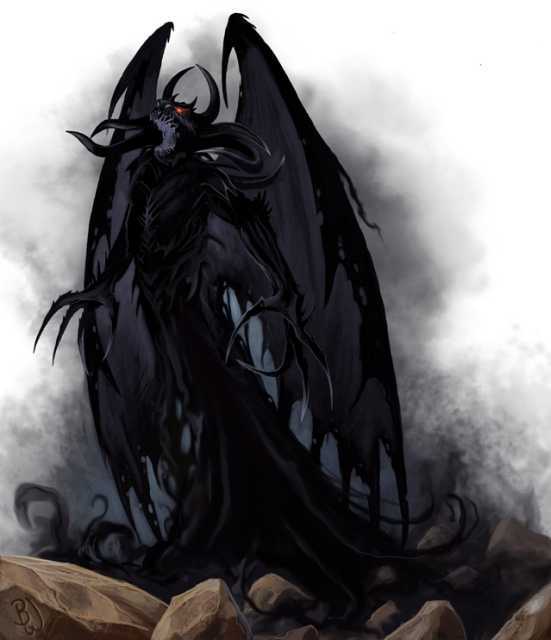 Meaning quite literally "Heartless," the Crudelis is created from thousands of souls being fused into one being during the storms of shadow. Shadows form around and maintain these beings' lives, for however long they last, but they dissipate after a few decades and the Crudelis is finally granted the death it desires. It can expend these energies to bring the day of its death closer. Unlike most creatures allied with the Revenants, the "Heartless" do not care for the lives of others, only an end to their own suffering. The Crudelis have noticed that the Revenants tend to put themselves in dangerous situations which would make the odds of their own destruction much greater. Though they crave death, they also fear it, and will fight to the best of their abilities to live. "Heartless" are powerful beings even though they are cursed, being immune to and in fact empowered by the darker energies of the world. Their dark energies can be used as a short ranged attack. -Power leak: (Every attack that the Credulis makes that deals dark damage lowers its statistics. (Attack, damage and defense drop by 2, max health drops by 10) This effect stacks up to five times. Strategy: Tough shooters, their effectiveness diminishes at the battle goes on. They are strong against the magics of darkness and rather powerful overall. Light magic murders these creatures, so beware the "Good" factions and light elementals. They have very good stats at the beginning of battle, but those quickly plummet if pressure is placed on them. They can spread out their damage nicely until they become blocked (being large does not help them) and they can punish enemies turns after their original attack with their Soul Burn ability. Beware gargoyles and golems, as they would be naturally immune. Meaning "Without animation" or "Without a soul," the Soulless are akin to the Revenants in the fact that they are the reincarnation of powerful heroes, priests and knights. They are different because the Revenant, while born of the same energies, does not have a raging storm of darkness within them. These creatures feel no pain, know no fear, have no emotion, and have nothing in them to kill. They do not care about living or dying, though living would be more preferable. They are immortal creatures who do not wish for anything but stability, which wars and genocide disrupt. These soulless beings are what a Credulis would be if only they had the storm that created them trapped in their body. The dark energies that maintain the Anima Apsens never run dry, and the only way to kill a soulless is to hack its body to pieces. It generates blast of darkness that chill foes to the soul and snuff out life force. Strategy: Powerful creatures that gain a bit of mobility. The stat boosts are relatively minor, though speed and initiative receive a relatively large jump. The Soulless have high magic defense and powerful abilities. They are impossible to kill with one-shot abilities, and their high HP makes them hard to kill conventionally. Still, they are easy enough to overwhelm since most of the other creatures of the faction are easier to destroy. Now we get to the fun stuff. Heroes are divided into six different class types (Following the Blood, tears and neutral setting). Each of the six has completely different abilities. The town is sort of average, not too much in the "New" Department. Their particular buildings, though, create a chain that makes the faction rather unique, since they provide shrine-like bonuses and racial boosts. Humans: Humans see the Revenants as abominations or slaves, little more. The Revenants and the humans have clashed many times before, though some humans still remember the Revenants from the Cataclysm and are willing to help the Undying Armies. Depending on the community the humans and Revenants are either enemies or allies. Academy: The Wizards are the only constant allies the Revenants have. They pique the interests of the magic users, and have keys within them to destroying the undead hordes as they are created. Because of their usefulness and their kind nature, Academy holds the Revenants in high regard. Sylvan: The elves and forces of nature view the Revenants as a blight to the natural order, but are willing to tolerate and sometimes accept them because of their beliefs and their history. In general, both factions are neutral with each other, though that balance could change in a heartbeat. Necropolis: Contrary to what one might believe, the Revenants and the Undead are two different factions. They are also not allies. In the Cataclysm Dretha made the Revenants to put down her brother's hordes, and they did their job spectacularly. Despite this, there is a kinship between the races, just as the Revenants have a kinship with the races the came from. As such, as long as the undead keep to their place the Revenants have no problem with them existing. Inferno: The Revenants are the only race that has any knowledge of what the demons once were, and for that they pity what the demons have become. The Revenants are reluctant enemies with this once-noble race, and will only fight them if pushed. Stronghold: Orcish people look on the Revenant with pity and distrust. Pity because they know what persecution and hatred they have to deal with, and distrust because of their partially dead and cold nature. They remind the Orcs of Wizards and the Necromancers. The Dwarves: These short smiths were erradicated to the bearded child in the Cataclysm. Strangely, few members of this dead race populate the Revenant rank. The Void: As they are to all other creatures, the Void is a foe to the Revenants. No factors could ever keep the Revenants from fighting these creatures to the bitter end. Interesting beginning, lookin gforward for more! It's not actually dead, it's "Not dead yet" Think more along the lines of Gualoth Half-dead from H4. Well, they're mostly dead, so the humans look at the as dead, the Undead look at them as something living, the Demons look at them as an obstacle and most everything else looks at them as a blight or an annoyance. Can't really get many friends when you look at it... They're also sort of supposed to be the only friends they have... 'Twill be explained in their history. Edited by gnomes2169 at 23:01, 27 Oct 2011. I've started on the history of the world I created, which will bleed into the history of the Revenants. I can't see the Rotted or Ghouls. Can you check the links? Edited by gnomes2169 at 06:34, 08 Dec 2011. Couldn't find either picture, so I just found a new one. Replaced urls with images. Alright, confession time. I can't bring myself to finish this, I just can't find the motivation that I had before. If I somehow do find it again, then I will come back. (I'll shorten the history to just the history of the cataclysm and the Revenants.) But the sad truth is, this faction will most likely remain unfinished. Well you ****ing went to town and back with the timeline. That's a lot of stuff to leave unfinished. waht are you DOING gnomes? O.o you ahve 'til february, man!!! Though with so much time, I might be able to finish it and Glacier... No promises. gnome, since you said you don't really want to end this, I give no in-between-feedback, here. Ok? Promise me that you will work on it for the next ICTC and I will make you a deal. IF it is finished..I WILL BE A JUDGE. There..now go forth and finish. Because Adrius is way too mean.